Anyone who is serious about home cooking (especially cheese making) will have a decent stockpile of cheesecloth tucked away in a kitchen drawer. It is a vital piece of equipment when cheese making and comes in handy surprisingly often around the kitchen. 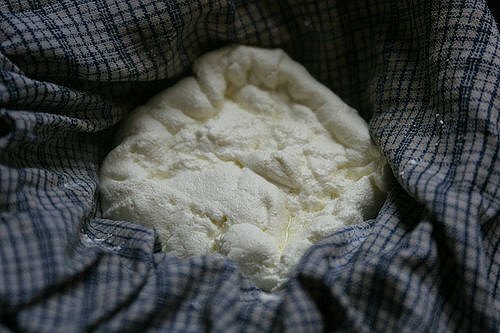 If you are often making cheese (that’s the dream) or find yourself in a situation where the only way out is using a good square of cheesecloth you might know that keeping a handy stock can get expensive. cheesecloth can get expensive. When we take a closer look at cheesecloths one of the first things we notice that there is not a whole lot to them. They are basically just a square of loosely woven fabric designed to separate the curds from the whey in the cheese making process, much like a sieve. If you often use cheesecloth you will be happy to learn that they are actually something that we can make ourselves out of common, everyday household items. The best part is there is a whole range of things we can use. I’m sure everyone has at least one of the items listed below but would have never thought to use them in this way before. All of these items are great cheesecloth substitutes and some of them can even be used as a reusable cheesecloth which helps keep costs down at home even more. Cotton Dish Towels: Non-terry towels can be used as a brilliant cheesecloth. Most of us have a linen cupboard full of non-terry towels waiting to be used. This is a great makeshift cheesecloth, however, do take note that non-terry towels are not as permeable as traditional cheese cloths and take much longer for the whey to trickle through. Muslin Fabric: Muslin fabric is a really fantastic alternative to buying cheesecloth. Muslin fabric is often used for making homemade tea bags, this is because it is very porous. To make cheesecloth out of muslin fabric simply cut a 10 x 10-inch square (or however sized you need) and hem the edges. This super simple if your starting out, just grab one of the best sewing machines for beginners. These make great cheesecloths because they separate the curds & whey very fast and you can wash them to make a reusable cheesecloth. 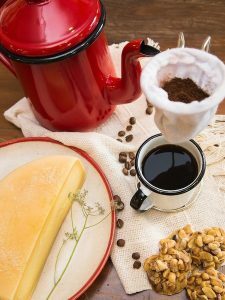 Tea Bags: Depending on the volume of cheese you are making tea bags may or may not be the best option for you. They are extremely small and don’t offer the best experience, however, they are really great to get you out of trouble in an emergency situation. You can simply (and carefully) cut open and empty out a tea bag, or buy a stockpile of empty tea bags form your local supermarket or Amazon. Do note, tea bags are very delicate and will tear/break easily, so this is only recommended as a single use – last resort kind of option. Case Cloth: More commonly known as cotton pillowcases or cotton bed sheets which are 100% cotton. These are another great last resort option, however, they are a little slower at separating the curds from the whey. You can also use case cloth as a reusable cheesecloth after putting it through the wash. Do note, I highly recommend that you soak your sheets or pillowcases in bleach before using them as a cheesecloth. This will ensure that you are using a clean piece of fabric with no hidden nasties. Stockings: We all have lots and lots of stockings if you are anything like me you even have brand new packets of unopened ones floating around your wardrobe. To use the stocking as a cheesecloth, carefully stretch the stockings over your bowl and slowly tip your cheese through. Be careful not to tip too much at once as the curds can weigh down the stockings and stretch them. Once done simply wash in the washing machine! You can even reuse them! Coffee Filter Paper: Coffee filters are another option to go for if you have absolutely no other choice. The filters are very fine so they do take a lot of time to separate the curds & whey, and you do have to remove the curds as you go, however it can be done. Tip: If you are making a strong-flavored cheese such as blue, do not reuse your cheesecloth (unless you are remaking the same cheese) as the pungent flavor will be trapped in the cheesecloth and taint the flavor of whatever you are cooking next. I hope that these DIY cheesecloth ideas will get you out of trouble when you need one the most. We should all have at least a couple of these items at home that we can transform into a last minute cheesecloth alternative. Do you have any other household items that you have used as a cheesecloth substitute or a reusable cheesecloth? I would love to hear about it in the comments below!